The European Parliament voted overwhelmingly in support of a more pragmatic approach to EU nature conservation. During the plenary session in Strasbourg on 15 November, the European Parliament adopted a resolution on the “Action Plan for Nature, People and the Economy”, which was the result of the “Fitness Check” of the EU nature directives. In this resolution the Members of the European Parliament called for a flexible and adaptive approach to nature conservation, in particular it acknowledged that some populations of large carnivores no longer qualify for strict protection under EU rules – due to successful conservation and management. See FACE Press Release here. 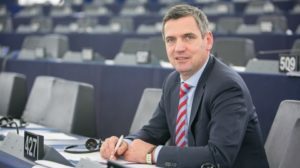 MEP Karl-Heinz Florenz, President of the European Parliament’s Intergroup on “Biodiversity, Hunting, Countryside”, made the following statement after the positive vote on the resolution: “The resolution shows that the European Parliament takes the concerns of citizens in rural areas seriously. We have asked the Commission to take action in order to alleviate the coexistence conflicts with large carnivores and especially the wolf in certain regions. As a farmer and president of the Intergroup Biodiversity, Hunting, Countryside, I have been following the issue of large carnivores and the related conflicts for a long time and I am happy that we get the matter moving. I recently also promoted an EU pilot project which supports regional and local platforms that should find local solutions to the conflicts between human interests and the presence of large carnivore species”. MEP Annie Scherijer-Pierik, Secretary General of the Intergroup, made the following remarks: “The fact that almost the entire European Parliament draws attention to resolving unnecessary conflicts between livestock farmers and large carnivores, like the wolf, is a major accomplishment. This Resolution will allow member states and regions to ensure a more flexible and regional implementation of the Habitats Directive. Protected species with a favourable conservation status should be – according to the Resolution of the European Parliament – sustainably managed by game managers and governments, especially in regions where conflicts arise with other protected species, ecosystems, farming or security. Effective management and sustainable use of certain large carnivore species can increase the acceptance of these species”. See video of MEP Scherijer-Pierik’s speech in EP plenary session on 14 November. As rapporteur for the European People’s Party, MEP Herbert Dorfmann emphasised the importance of giving to local authorities more flexibility in the wolf management. “This vote is a milestone in the debate on the wolf in the European Parliament. For the first time, a large majority of MEPs recognised that the protection of the wolf must not be absolute and that the development of other sectors such as traditional agriculture and tourism are at least equally important. The wolf is classified in the Habitats Directive as species in need of strict protection. In many places, such as in the Alps, there are now stable wolf populations and they are by no means threatened with extinction. Therefore, the protection of the wolf should be downgraded and adapted to local conditions. The return of the wolf to the Alpine region cannot simply be ignored. It requires the cooperation of all political levels, the EU, the Member States and also the Regions, to find an acceptable solution for all. This vote is an important step on the European level and in the right direction” said MEP Herbert Dorfmann. See video of MEP Dorfmann’s speech in EP plenary session on 14 November. Intergroup on “Biodiversity, Hunting, Countryside”. The Intergroup was created in 1985 and is one of the oldest and most active parliamentary platforms. 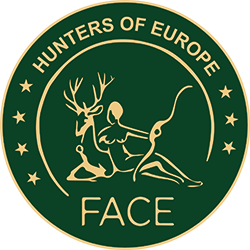 With more than 100 actively supporting MEPs, the Intergroup promotes the role of sustainable hunting and other sustainable use activities.